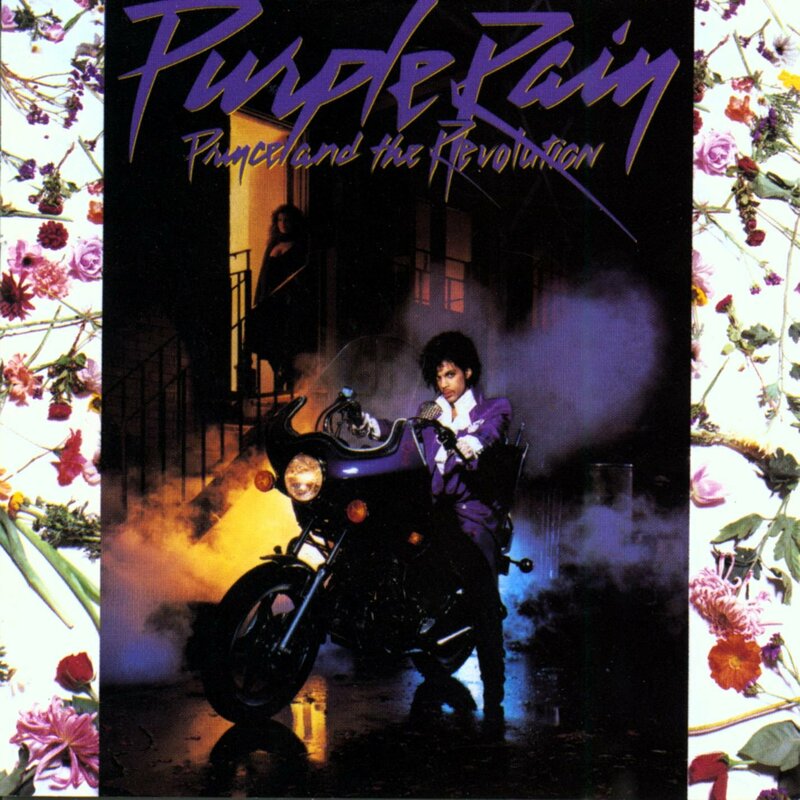 Dearly beloved: we are gathered here 2 get through this thing called October. 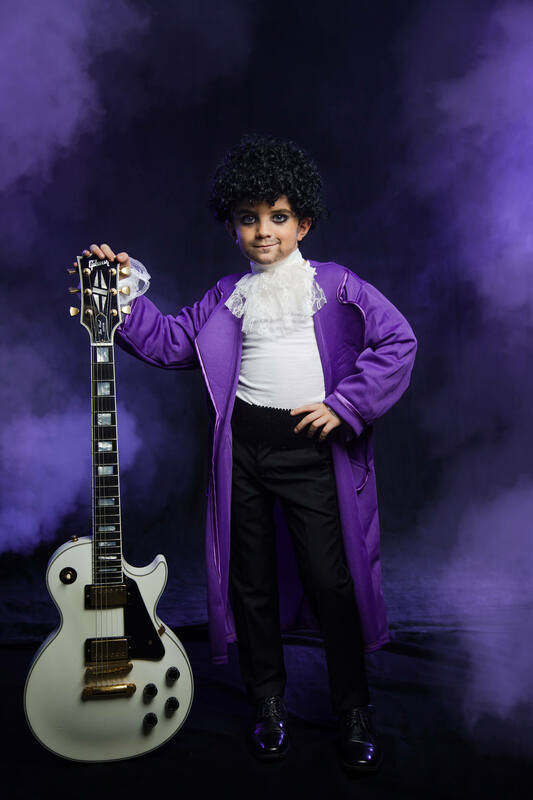 If U want 2 dress your little kid as Prince this Halloween, U have 2 find the perfect pieces 2 create a purple masterpiece. Must haves include a ruffled shirt, black boots, curled hair, and of course, a purple jacket. Sparkles, eyeliner, sequins, and studs are also welcome additions. We admit that not all Prince songs are toddler-appropriate, but we fully stand behind the fact that EVERYONE should be able 2 dance it up 2 “Let’s Go Crazy” whenever they feel like it. 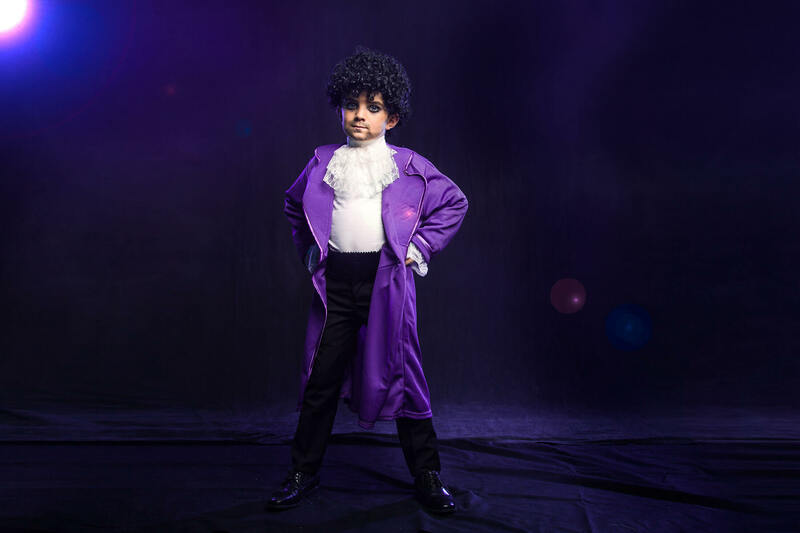 We’ve created this DIY 4 U 2 help your kid dress as the king of purple, Minnesota’s true royalty, Prince, and pay homage 2 a musical legend. While we weren’t able to secure a child-sized motorcycle for our little kid to use to drive through the mean streets of Minneapolis, we WERE able to help him look the part the best way we know how: creating a do-it-yourself, one-of-a-kind Prince Purple Rain costume by pulling together bits and pieces from other costumes. Purple strobe lights, a fog machine, and an electric guitar helped our little guy have the right attitude once his ensemble was complete. "Tonight I'm gonna party like it's 1999!" 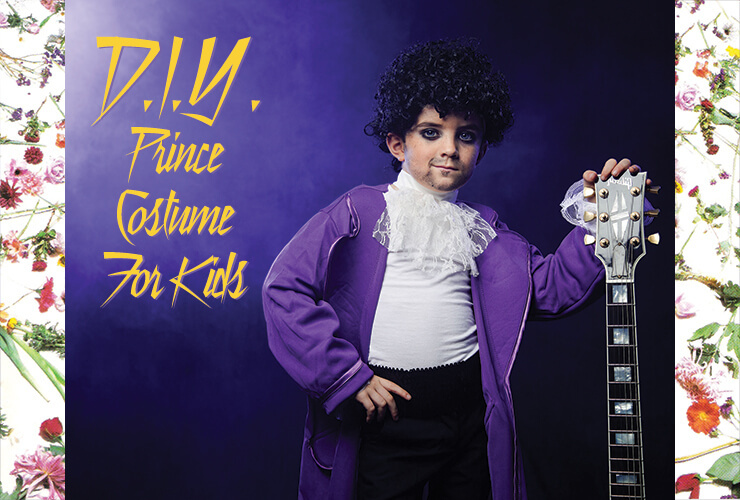 The first thing that came to mind when planning this DIY Halloween costume of Prince was… Willy Wonka. We mean, who ELSE wears a long purple coat on the regular? The candy man! We pulled that and then had to figure out all the details. Ruffles? Pirates, duh. Prince taught us that fashion knows no gender boundaries, so we swiped the wrist and neck ruffles from this women’s swashbuckler costume. This wig is for adults, but with some adjusting, combing, and hairspray, it looked just fine on our tiny rock star. And if he doesn’t want to wear the eyeliner and curly wig all night? That’s okay. Parties aren’t meant to last. "Are we gonna let the elevator bring us down? Oh, no, let's go!" Bonus points if your kid is 7 years old! The last little touches were to do some quick makeup. 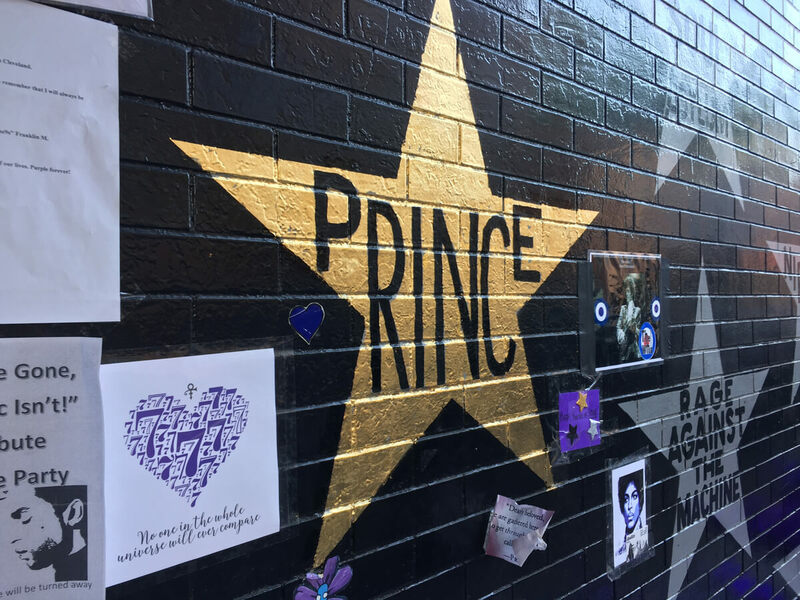 We used eyeliner and mascara to add a basic, dramatic smoky eye, and then sponged on a little bit of black cream makeup to recreate the scruff that Prince rocked. 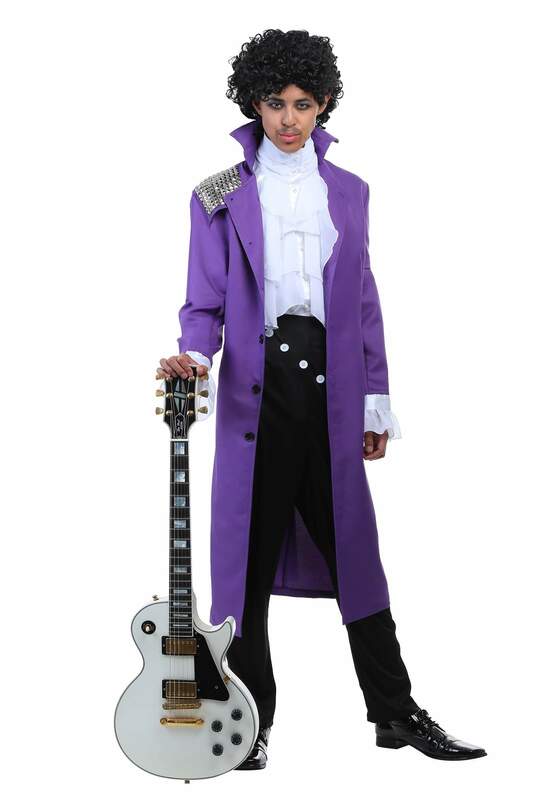 For the grown-ups out there, we do have an adult version of the Purple Rain look, exclusive to HalloweenCostumes.com. This costume comes with the high-collared, studded purple over coat, the ruffed shirt front, and black pants. With this look, you’ll look right at home at First Avenue. 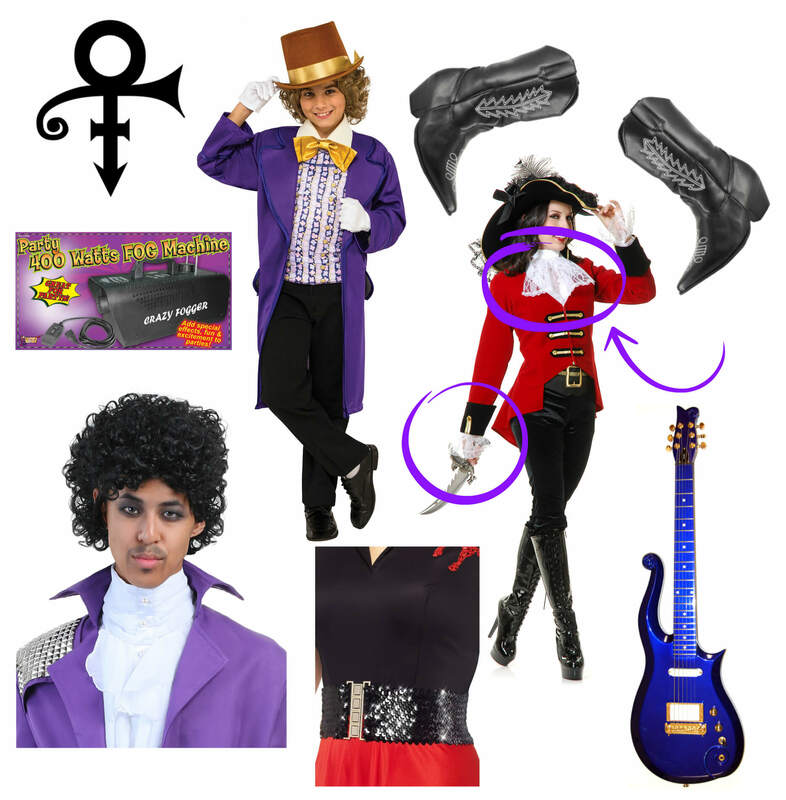 We hope this DIY costume guide helped you create your own Prince costume. 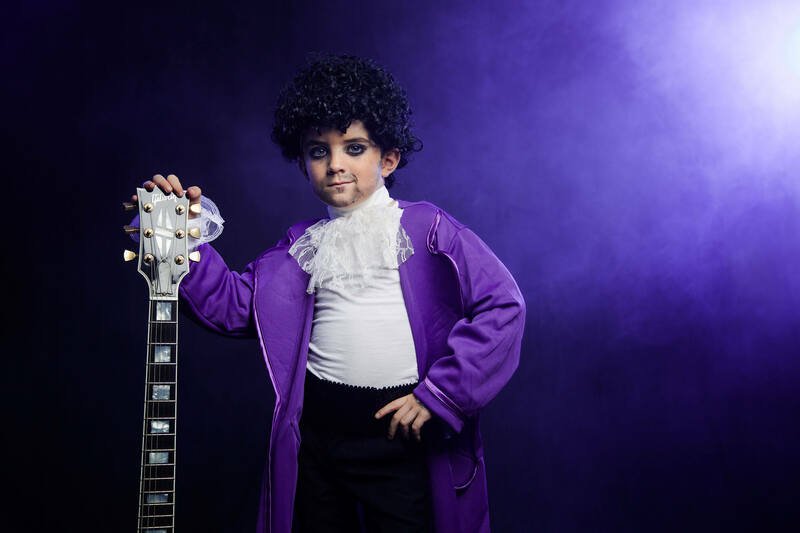 One thing that a costume CAN’T provide is the rock star swagger and confidence that Prince so supremely displayed wherever he went – supplying that little smirk is up to your little kid. If you or anyone you know decides to pay homage to Prince this Halloween, please share with us in the comments or on our Facebook or Instagram! See the rest of our kid costumes here.